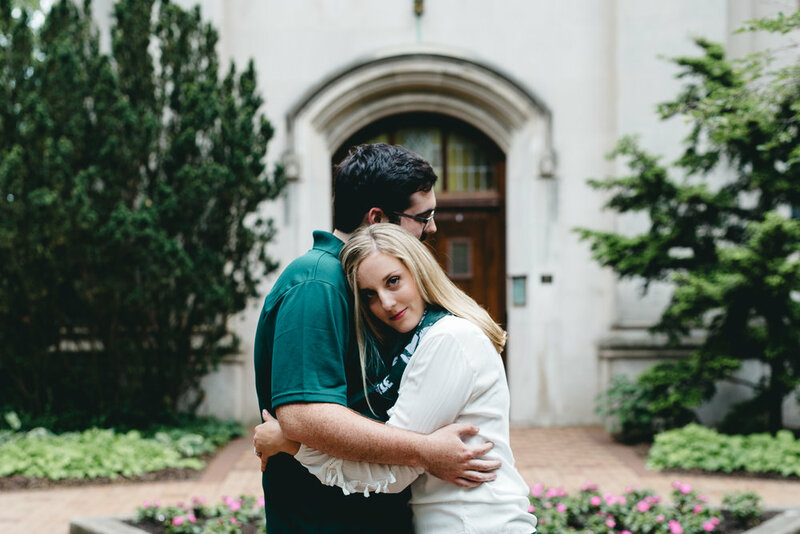 Engagement session season is upon us! 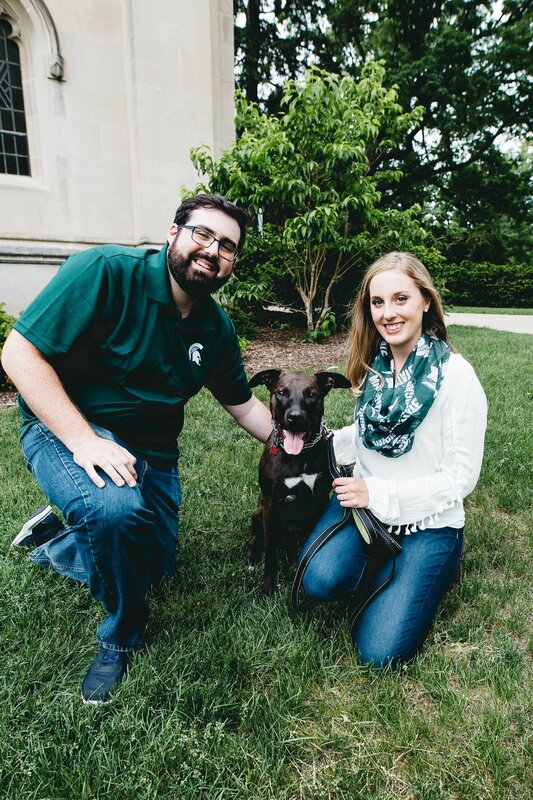 I met up with Danielle & Drake last month to do their engagement photos at MSU! I've done a few sessions on campus in the last couple years and it never ever gets old. I love seeing the campus at various times of the year and photographing couples enjoy the iconic parts of it! Danielle and Drake brought their adorable pup that they recently adopted and it was nothing short of adorable. They even brought a MSU jersey! This session was all things love and MSU!